So I logged off and went to a little barbecue/party. The crowd was a mix of the usual home game faces and some others. Once the majority of the “others” left, it was inevitable…pokah! It was wild and slow and fun, mostly. I can honestly say that this table was a new experience. Fourteen (!) players. As some teamed up those 14 became 11 (as five players built a three and two player-combo). 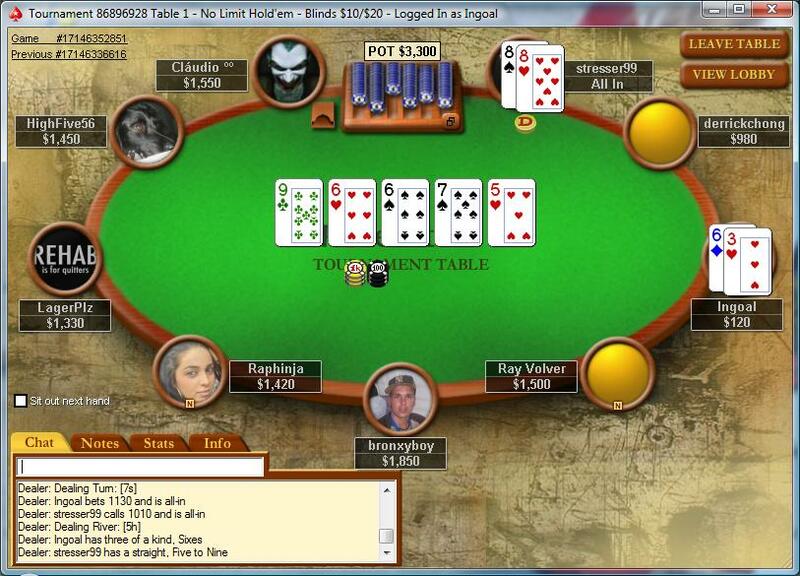 I joked that I would push all-in on the first hand…and once I looked down at TT in LP…I chuckled…then pushed all-in. 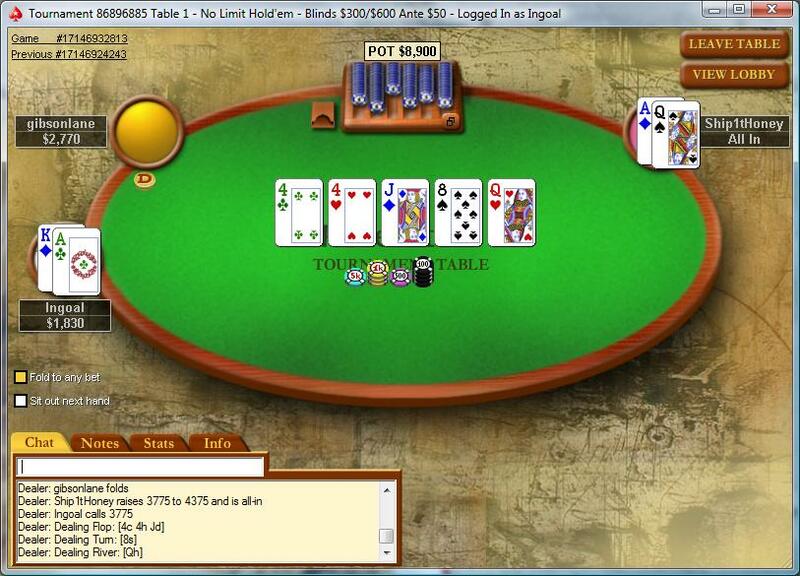 *lol* I won the blinds and limps. The rest is mostly a blurr…one player, who was so drunk that he left the table on a few occasions (to puke all over the host’s bathroom, yikes), basically steamrolled the table winning pot after pot and eliminating player after player: “What you got a set? 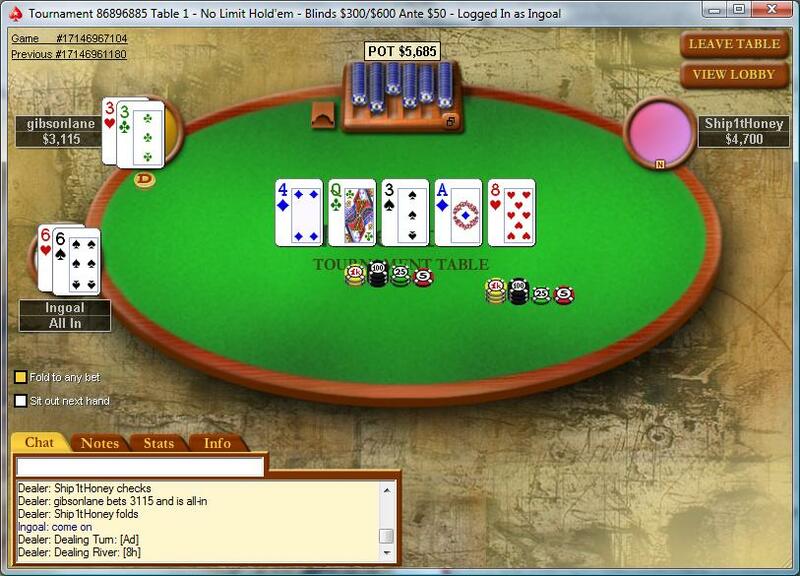 Oh well…I got King high….I call the all-in”…*lol*…sure enough he runner-runners the straight, etc etc. So sick. But anyway…back to my play. It came down to three crucial hands. 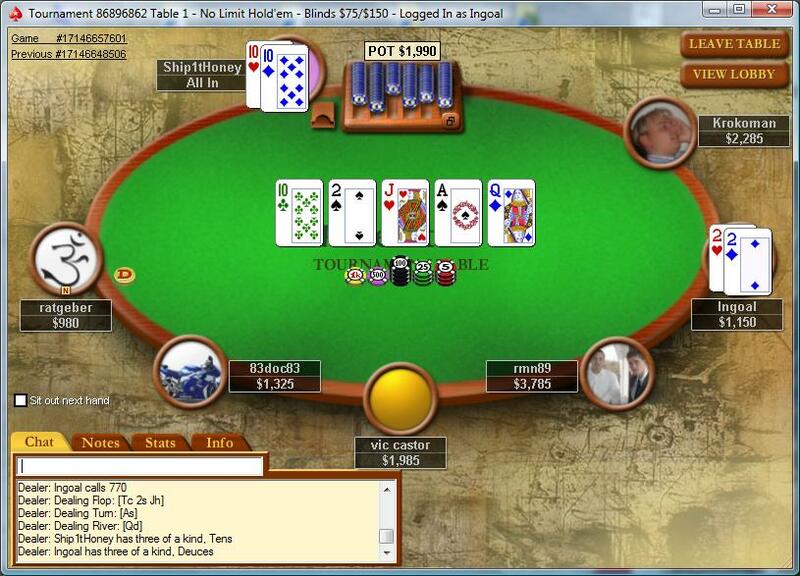 I pushed in with KJo in the BB after the button and SB limped..button calls with QT…flop comes down KJx…turn? A….wheeeee…NOT…river is a blank and I’m crippled. Next hand I push in blind in the SB…cutoff calls…I river a straight with my J7o…next hand I push in blind on the button…get called in two spots…I river a Jack with my J3o….one opponent shows J4o…split pot as the lowest card on the board, a 5, plays…*lol*…two hands later UTG pushes for 1.5BB (! )…UTG+1 min-raises….folded to me…I look down at 66 and I push over the top…UTG+1 calls…showdown: UTG – KJo…UTG+1 – KQo…looking good…flop is all low…no 6 though…turn J…river blank….and I’m busto…and now I’m typing this…enjoy the following (not so) random pic dump and I’m outta here….